Inspired by their years of personal and professional experiences in girls' education, the women behind Count Me In developed a math camp program just for girls. 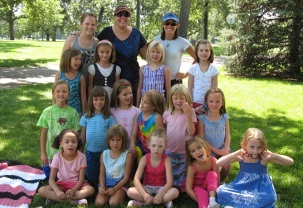 Count Me In is based in Denver, Colorado and provides camp curriculum and materials to teachers and schools across the country. 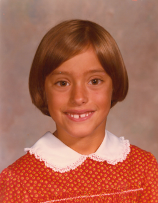 Michelle was raised in a house where math was talked about and encouraged. Her dad made a game of solving logic problems and practicing math skills when the kids were young, and they became convinced early on that math could be fun and easy. Michelle went on to major in math at the College of William and Mary and has been teaching - both in and out of the classroom - for the last 20 years. She and her husband live in Denver, CO with their two daughters - who used to do plenty of reading, but not nearly enough math in the summer. Contact Michelle. 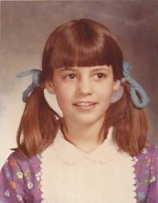 Amie first experienced an all-girls learning environment when she attended Dana Hall - an all-girls school in Wellesley, MA. She went on to earn her B.A. at Tufts University and a M.A. in Curriculum Studies from the University of Colorado. She and Michelle met in 1994 when they started teaching together at an all-girls high school. Amie has spent her entire career in education, as a teacher and an academic administrator. She lives in Chapel Hill, NC with her husband and three sons. 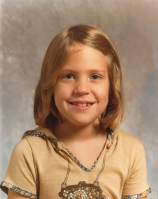 Tanya's "camp" career began in 1986 when she was a counselor at the Frost Valley YMCA camp in NY. With math and technology degrees from William and Mary and Columbia University, Tanya has been a part of the Count Me In team since the beginning - teaching camps and developing curriculum. Always bringing her "camp" spirit to the very serious business of learning, she's been an educator at an all-girls school in Denver since 2001 and now serves as their Director of Instructional Technology.